Not to go all geologist on you, but you can thank a series of floods from glacial moraines that sent rushing water across the land and eroding the sandstone and other rocks in the area. The lush vegetation and abundant wildlife really stands out amid the endless acres of farmland surrounding the area. Bald eagles are common in the area, especially in the winter. There’s a lock and dam to the east side of the park across the Illinois River, so paddlers want to go west, downriver, from the drop-in located in the state park. You’ll find plenty of powerboats on a nice weekend day, and barge traffic will come and go as well. The Illinois River connects to the Mississippi at the Missouri border north of St. Louis. It’s a big river and a major shipping lane, so it’s not the most intimate place to paddle. 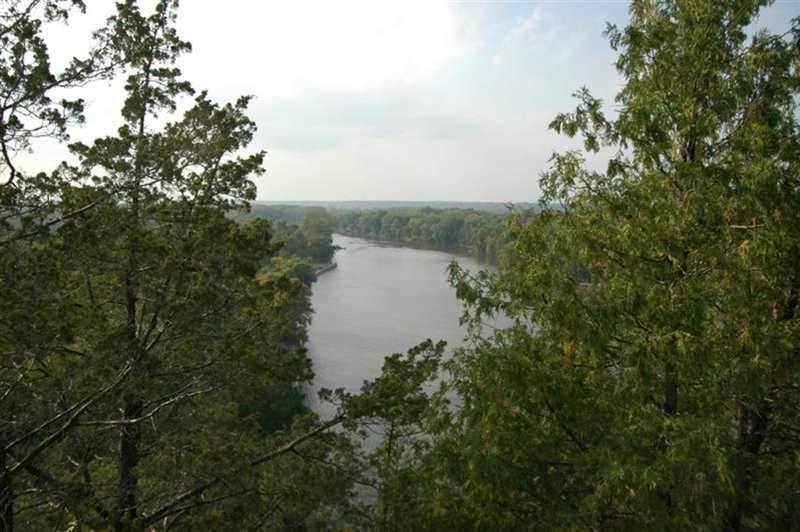 But you can continue southwest on the Illinois River for a little more than two miles, you’ll hit the Vermillion River, which connects to the south. Only one problem—the Vermillion is one of the few rivers that runs from south to north. So you’ll be paddling upstream if you want to reach the Vermillion from Starved Rock. The better trip would be to put in further south along the Vermillion and paddle north to the Illinois River. This smaller river is fun for paddlers, and actually features some whitewater in the spring and early summer. 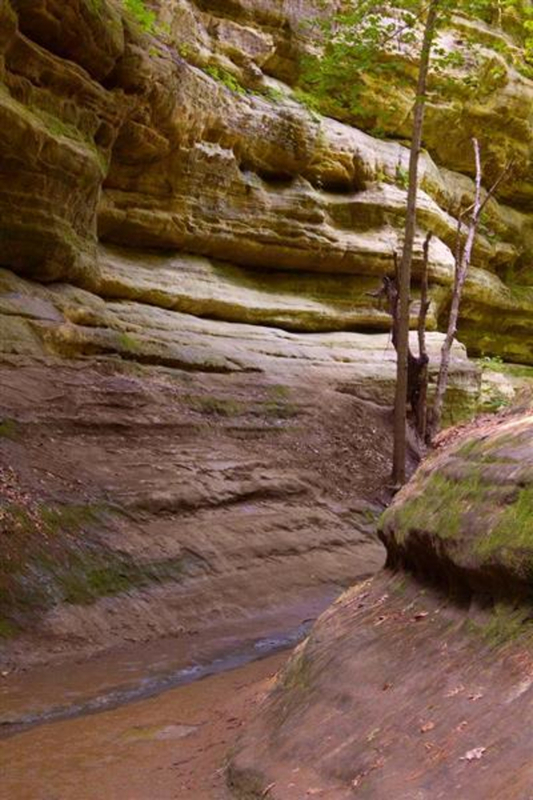 You’ll also go through Matthiessen State Park, which has a similar topography to Starved Rock. Vermillion River Rafting rents rafts and kayaks and helps you with transportation. 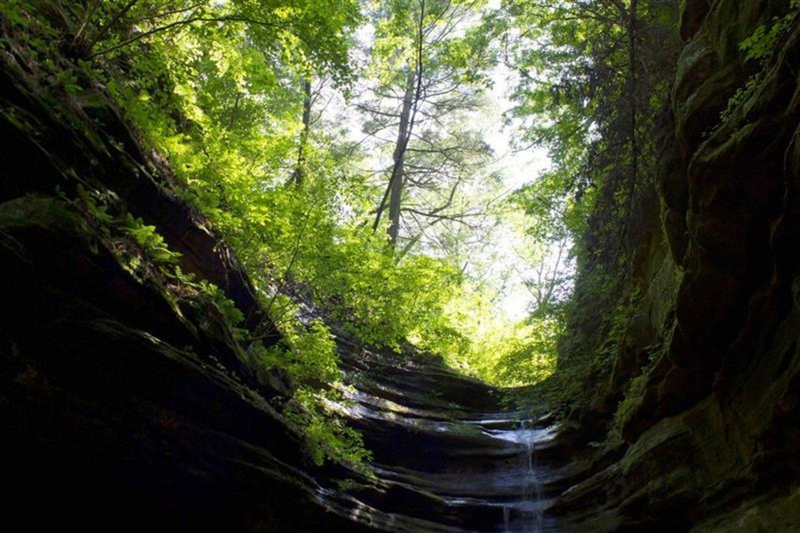 Starved Rock State Park offers camping facilities as well as some of the best hiking and fishing in the area. 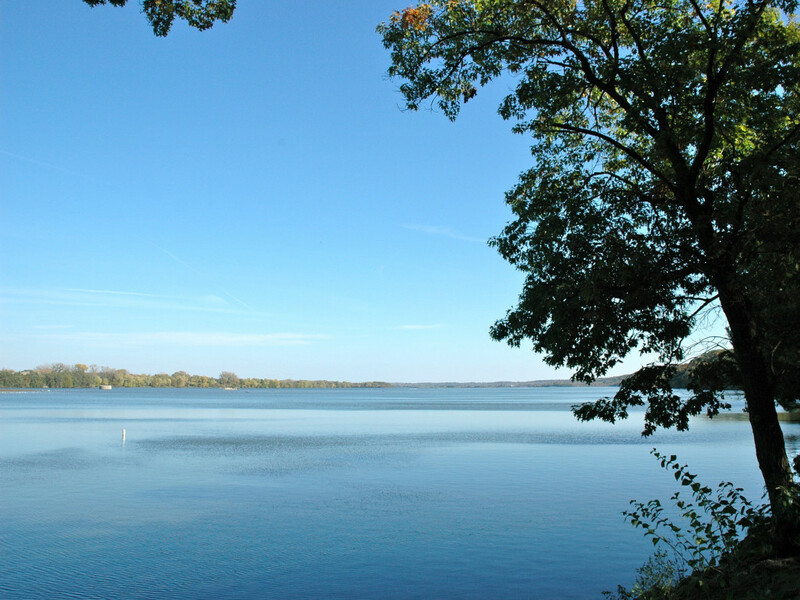 Catfish, bullhead, white bass, sauger, walleye, carp and crappie all live in the Illinois River. It’s great for a weekend escape where paddling is part of the fun. Also if you’re interested in trying some whitewater, the Vermillion is about he closest your going to find to Chicago—with up to class III rapids in the spring or when the river is high. The park is located at 2668 E 875th Rd, Oglesby. Camping areas are obviously open 24 hours, but permits are needed—and you generally need to get them well in advance. They tend to sell out quickly. 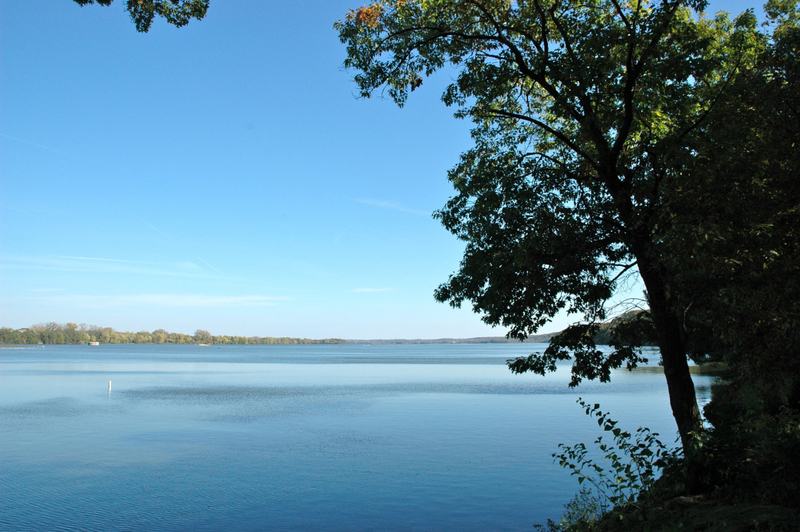 From inside Starved Rock State Park, you can rent canoes from May through October, or use your own boat from the launch there.